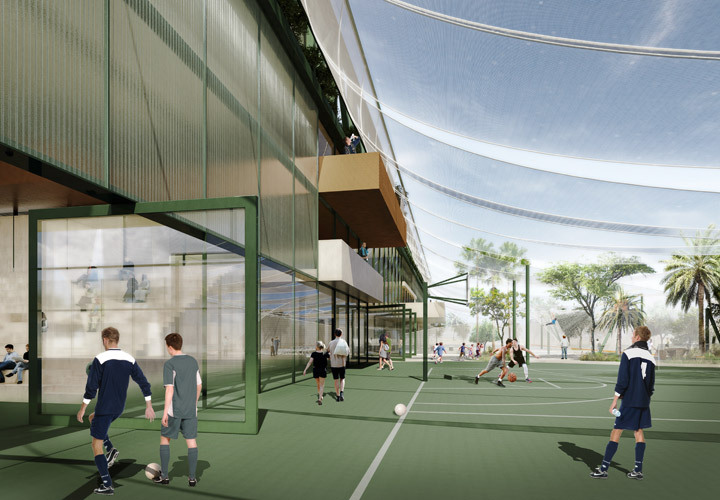 The Green Sports Hub (GSH) is a sustainable sports hub consisting of sports academies, indoor and outdoor sports facilities, shops, restaurants, gym, sports hotel and other leisure facilities. 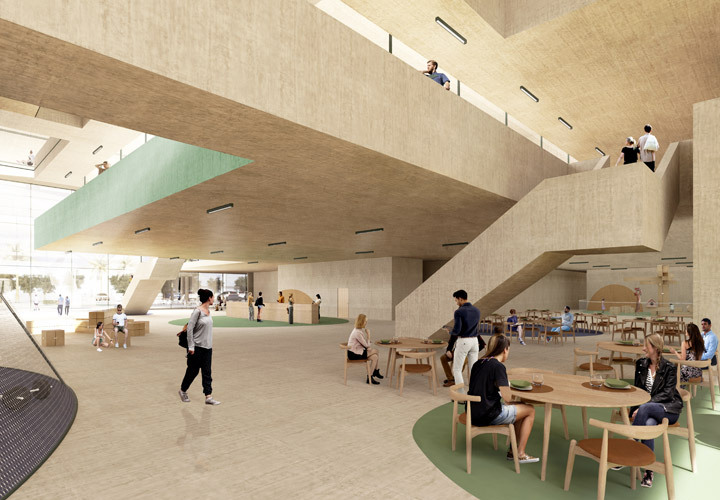 GSH has a sustainable design and will be developed to enhance the local environment and inspire a generation to embrace sociable, healthy and responsible values. 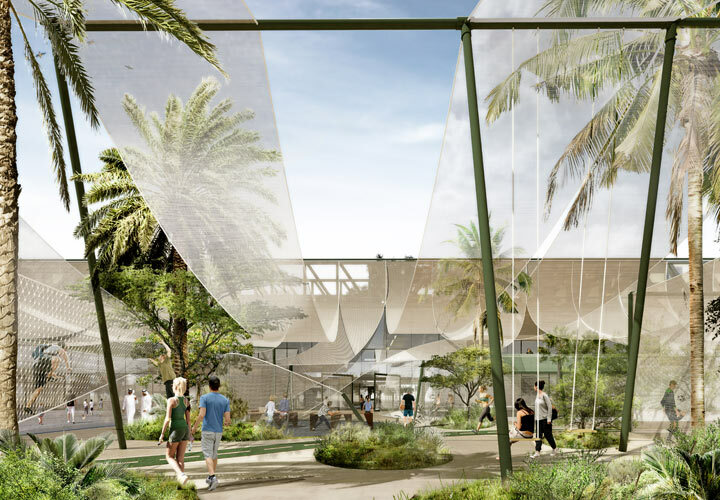 The vision of the project is to provide not only extensive and varied sports facilities but to create a vibrant and multi-functional sustainable attraction used as a social and educational resource. 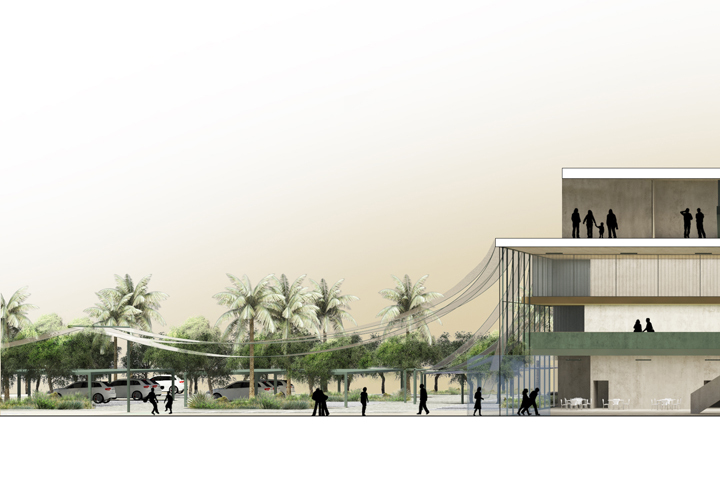 Furthermore, the masterplan is driven by the idea of connecting and activating relationships between the existing Jumeirah Golf Estate and the new school to be developed, creating a hub for social interaction, which will trigger and enhance both sports and community life. 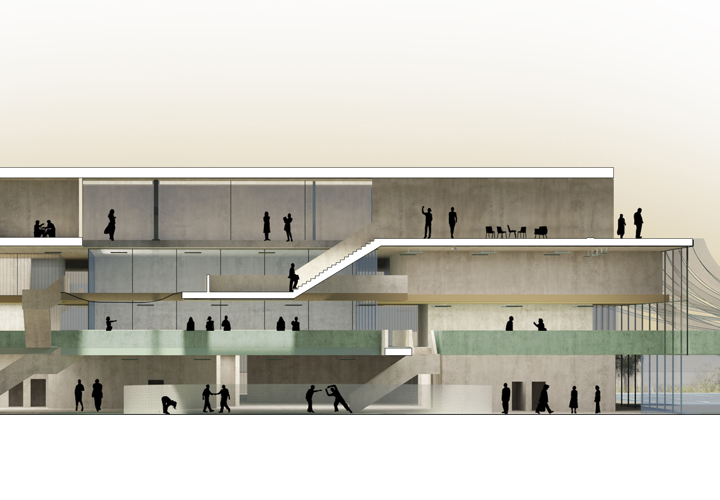 The idea of the hub, based on density as the main factor, is achieved through a mix of different functions, which attract a higher concentration of users to the most central locations. This density and the mixed pattern develop both inside and outside the building. 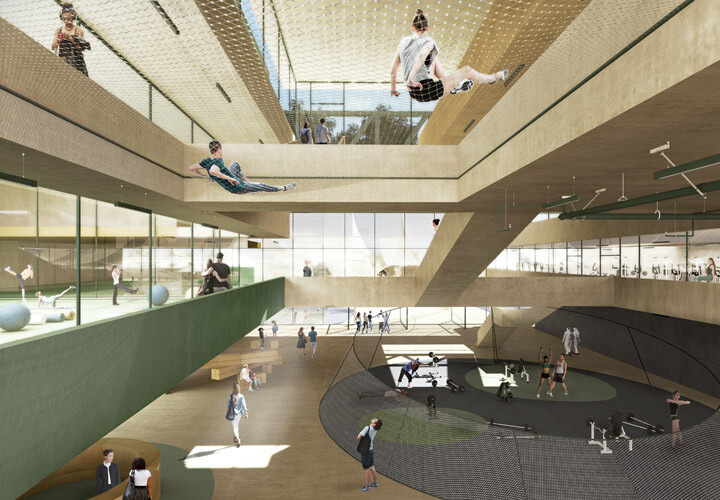 An exciting mix of activities, including a wide range of sports as well as social functions, float around the main flow space and create different orbits of relationships and interactions where sports, leisure and social come together as a unique experience. 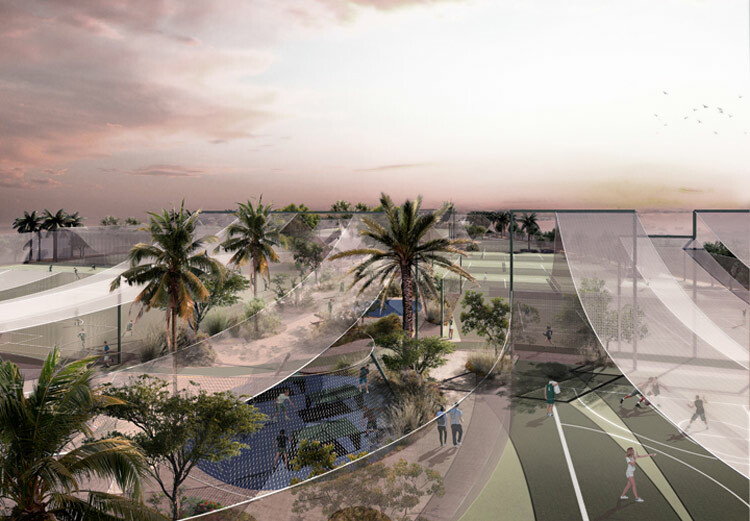 The “floating fields” are connected through a public route, which adds an extra level of experience in the sports hub. 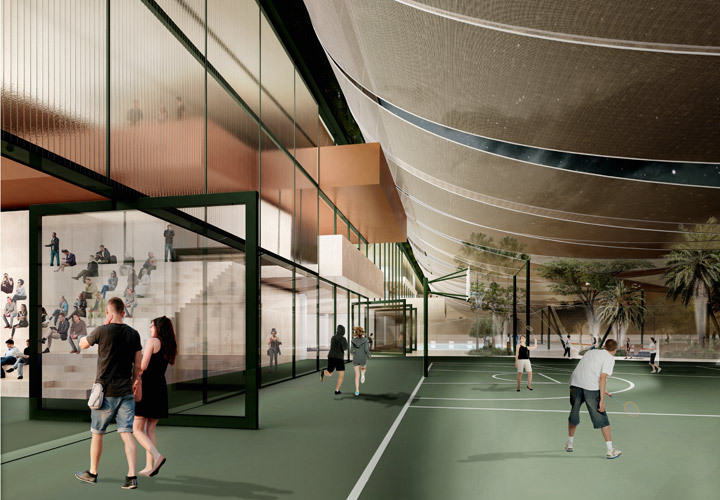 The Green Sports Hub will overcome the sports experience becoming a core of a new and holistic community lifestyle.